Obituary for Maurice C. Reilly | Laughlin Memorial Chapel, Inc.
Maurice “Max” C. Reilly, age 98, of Baptist Homes, formerly of Mount Lebanon, PA died on Tuesday, September 4. He was born on August 26, 1920 in Pittsburgh, Pennsylvania. Max was the son of the late Maurice and Marie Reilly. He married the late Frances Laux Reilly in 1956 and is survived by his three daughters MaryLynne (Doug) Schmeltzer, Maressa (David) Cochran and Janet (Anthony) Jackson. Max is also survived by his seven grandchildren, Katie Hrubec, Kelli, Maggie and Sheamus Cochran, Brian and Michael Schmeltzer, Cooper Jackson; As well as his great grandson, Jack Hrubec. 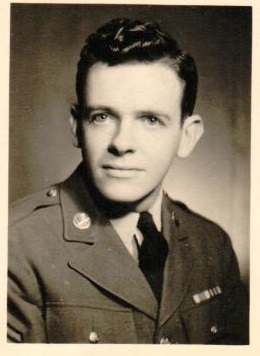 Max served in the Army during World War II. He enjoyed a long career in television broadcasting sales for KDKA. Friends and family will be received at Laughlin Cremation & Funeral Tributes 222 Washington Road Mt. Lebanon on Monday from 9:30 to 10:30 AM followed by a Mass of Christian Burial held in Saint John Capestran Church at 11 AM. Interment to follow in Queen of Heaven Cemetery. In lieu of flowers the family asks that contributions be made to a charity of your choice.